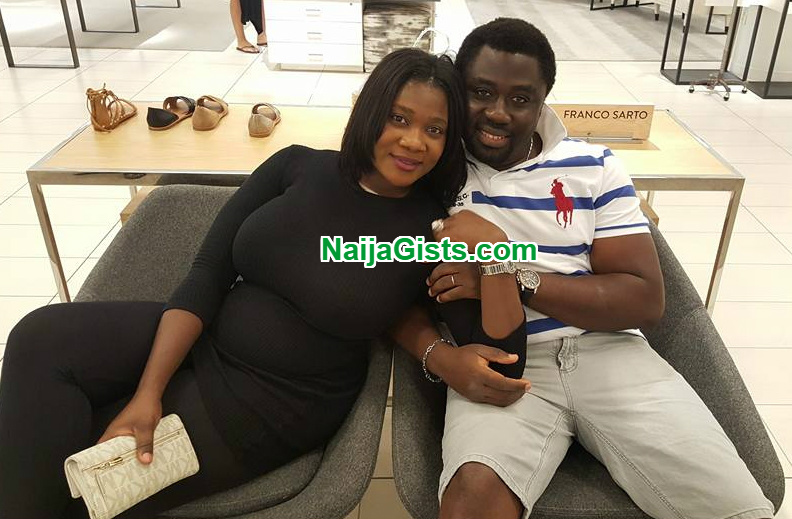 Photos: Mercy Johnson Okojie Pregnant With 4th Child, Actress Expecting Another Baby…. NaijaGists.com is happy to announce to you that the family members of Mr and Mrs Okojie are getting ready to welcome another angel. 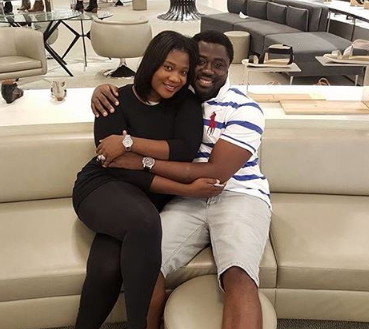 Popular Nollywood actress Mercy Johnson Okojie and her husband Prince Odi Okojie just completed a relaxing vacation in the United States of America. The couple who left their kids back home are on their way back to Nigeria from the United States of America. The good news is that the actress who welcomed her third child, a baby boy in Baltimore Maryland in December 2015 is getting ready to head to the labour room for the 4th time. 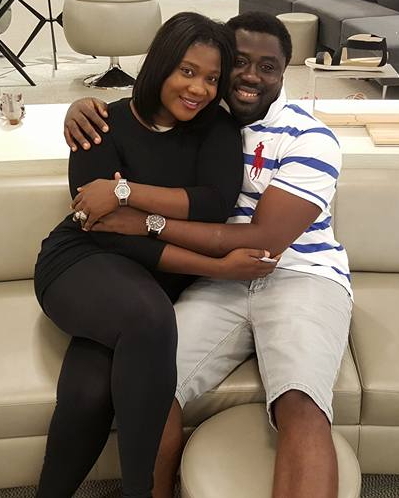 According to a reliable insider, Mercy Johnson is currently in her first trimester. If everything went well, the Okojies should welcome another baby early next year. Last year, the actress told critics she has a right to ‘get belle’ anyhow because she is a married woman. NaijaGists.com was the first to break the news of Mercy Johnson’s 3rd pregnancy but she later debunked it. We won’t be surprised if she debunk this one too. Congrats to the romantic couple. MJ is one actress I respect for for her successful marriage. If she likes let her be giving birth every ten months. After all, she is in her husband’s house and he is not complaining either. Mini vacation? What’s that? There is nothing mini about vacation to the US from these shores. What with the high cost of tickets, hotel accommodation and very thing at the current exchange rate? It is mega vacation and I congratulate the couple for having a successful mega vacation and for their expected bundle of joy. I think she is tryg to rush her children and then face her career, bcos that is d only explanation I can give for why she is getting pregnant by d day. YOU ARE [email protected] And I want to believe that this is their last. After then, she would hit the gym like a fierce wind and trim down to that her killer 8 once again. Hehehehehe oga is a sharp shooter. Congrats dear. Congrats mercy but ask your husband to get a job.we know you have been carrying the responsibility of your family. The yeye edo man is after your money at least let him get a house for you rather than living in a house you got through those married men you jazzed while sleeping with them before you married though. I am happy for her,but her body needs time to rebuild,so it can nourish each baby,I can bet that if she was to get a flu,it would be like she had no energy to even lift her head up..But she is Rich so I guess she has access to everything to make her strong..I hope she still will have time to make movies,she is a really talented actress,and would hate for her to disappear like some of the other,famous women like,Omatela and Geneive and the rest.. If a piki borner is wanting to born pikin up and down, why are pipul vex for? She is having money to train them. So is not a thing of born and run or born and forget or even born and beg pipul for money. Is a thing of born and train. She is a haver of money. Is a plenty. Hey! See poverty mindset. What is ur business weather d husband is or not, welcoming a forth child or nt.allow them to enjoy their time ad marriage.this is a wonderful couples I have never seen. God bless ur marriage. Hey!this is porvert mindset.what is your business weather d husband has money or or nt, expecting a forth child or not.allow them to enjoy their marriage. This is a wonderful couples I have never seen in a movie industry.may God bless uur marriage. That’s a good one @ Bench ‘ a piki borner’ I just can’t stop laughing. Don’t worry, any time, any day, you are my number one commentator, but for the ‘ igbo’; don’t mind naija gists. You are one of the things I enjoy on this forum. Who cares about ‘grammar’? I had enough of that at the university. Why should we become more westernized than the westerners? When I want to ‘here grammar’ I listen to Foreign news or ‘ Channels’. Nothing do you jo, carry go. she should take it easy…..
She is a career ??? ?, so let rush her things joor! Carry go!!! Its nobody’s business. You are a married woman and you got the cash to foot the bills. But, wetin dey sweet, dey kill. Na only you marry? people can talk who told u mercy is d one carrying d responsibility always make u findings well before saying anything. M.J my person enjoy urslf God bless ur home always for u.
Congrats to you mercy, but please take it easy. family issue no third party needed.. ???????? Cong,every 10 months another kid. Nigerians too talk,na u dey born abi na u dey foot d bills? Na ppl like una dey use una mouth cause prob 4 ppl marriage. Make una follow her rejoice so dat ppl go follow una rejoiced.Mj fire down, na ur right in case dem nor know. Wow…Congrats dear…If pesin no born, na wahala,if pesin still born una go say she dey rush am…shez married and has d right to get belle. since I know you in this African Bollywood movie you became the best for me, your became so many people best actress , you are my preference. U are just good. As fo me you met a good man and god is blessing you with so many babies. That is the lord plan for you my dear. Jalousie will kill people with their gossip and envie. Thank god every day my dear and make sure you do not listen to anyone. Listen to god and have 6 babies or more why not if it s God will for you. Don’t mind any one with their bad luck.